Consumers can’t stop talking about Starbucks, according to a new study. 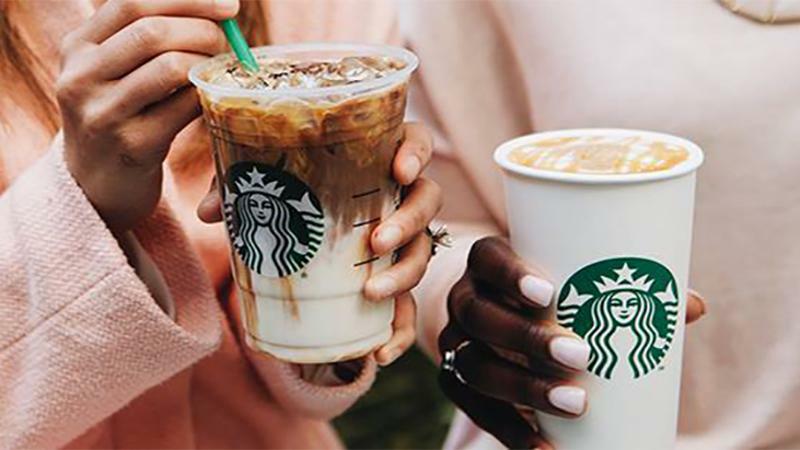 The coffee chain came out on top in a list of limited-service restaurant chains ranked by how much they’re discussed by consumers online and face-to-face. Chick-fil-A was the second most-discussed brand in the Engagement Labs report, followed by Papa John’s and Domino’s. Consumers discuss LSRs more often in a real social setting than they do in social media, according to the study. Starbucks and Chick-fil-A were identified in the report as “Conversation Commanders” because their scores were higher than average for both online and offline discussions. The report also notes Chick-fil-A’s high sentiment score, crediting it to the chain’s app launch promo, where consumers were given a free chicken sandwich if they downloaded the app and created an account. Along with coffee giants Starbucks and Dunkin’ Donuts, the top 10 is dominated by pizza and chicken LSRs such as Papa John’s and KFC. McDonald’s, Burger King and Taco Bell did not finish among the top chains.